"Ms. Robinson has spun a tale full of quirky characters and surprising twists of plot that will delight both adults and children alike." Marcia Lee Laycock, author of One Smooth Stone, A Tumbled Stone, and Spur of the Moment. 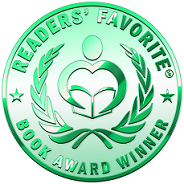 "A tale of bravery, innocence and determination of a child as she pursues her dream. Young readers are sure to enjoy Robinson's delightful tale." Cheryl Schenk-Bittleberry Books, author of The Stibil Forest Adventures: Little Synni's Moonlight Mischief. 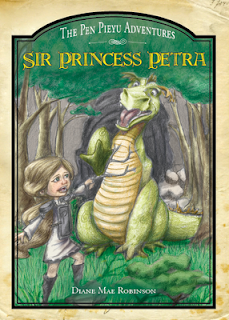 "Sir Princess Petra is a delightful and imaginative tale with wonderful and funny characters, and a spunky heroine that young readers will love." Gisela Elise Felsberg, University Instructor of Fine Arts. 5 / 5 Mark Smith – Children’s Book Author Highly Recommended Silly Adventure As an author, I greatly appreciate the whimsical qualities of Diane Mae Robinson's work. Often times, it's not enough to have a solid, well-written story when it comes to creating children's books. There needs to be a bright sparkle that captures the child's attention and pulls them along. Robinson's writing has it all and is a perfect read for that younger reader striking out on their own. I love her vivid descriptions and laugh-out-loud whimsy - it's the exact same thing I strive to accomplish when writing. Highly recommended. "Sir Princess Petra: The Pen Pieyu Adventures" is a maverick fantasy, illustrated chapter book for tweens. Princess Petra of the kingdom of Pen Pieyu requests an unusual birthday present from her parents the king and queen: to become a knight! Although her request alarms her parents, they can find no legal objection, so the king proclaims Princess Petra must choose an act of bravery from the royal list of deeds, in order to become a knight of the kingdom. Her choices are: "to capture a crocodile and make his skin into a royal leather chair, to hush the howling nasty dragon Snarls in the Forest of Doom, or to eat a roomful of raw onions(p.13)." The princess eliminates both onions and crocodile and decides upon the quest to hush Snarls, the nasty dragon in the Forest of Doom. Armed with pots and pans and cutlery from the pantry, Princess Petra sets off. What will happen on this unpredictable princess/knightly adventure? Packed with plot twists and turns, unexpected obstacles and problems, and brilliant flashes of humor and originality, "Sir Princess Petra" charms and entrances the reader. Enhanced by frequent expressive black and white drawings, the six chapters of "Sir Princess Petra" move swiftly to a satisfying conclusion. Kids age 10 and up will love the rebel heroine and her dragon rehabilitation skills." 5 / 5 Grady Harp HALL OF FAME TOP 100 REVIEWER VINE VOICE `Prince Nastybun removed his purple, knitted gloves and looked to be in a huff. "Are you not the princess royal knight?" Canadian author Diane Mae Robinson is proceeding with her series of richly detailed imaginative fantasies focusing on a young princess who feels the need to be a knight. THE PEN PIEYU ADVENTURES opens with SIR PRINCESS PETRA and though it is a brief 68 pages in length it is enhanced by creative illustrations and a story with a character that obviously has a future. She keeps the book short (a true plus for young readers) and makes her dialogue full of contemporary humor with just the right touch of lightness. In other words, Diane has mastered this genre. Or as other have said, her books are `amazingly fresh, charmingly funny, and embrace timeless values kindness, understanding, and respect'. Highly recommended. 5 / 5 Sue Morris, Kid Lit Reviews Girls Just Want to Have Fun! Sir Princess Petra is one of those stories that will appeal to most everyone. It is charmingly funny. Petra sets out to prove she has what it takes to be a royal knight and proves she can do nearly anything. Snarls, the howling dragon, is endearing and lovable. The author's imagination is appropriately childlike. Petra is a child every parent will love. 5 / 5 Mother Daughter Book Reviews Fabulous read-aloud book for children - Loved it! Sir Princess Petra is a wonderful read-aloud book with a diverse range of characters and a quirky writing style that kept the children completely engaged from the first page to the last. Diane Mae Robinson has created a charming main character in Petra who rejects the stereotype of what a princess should be in favor of serving her kingdom as a royal knight. Petra is precisely the type of role model I love for girls: she’s spunky, she’s brave, she’s kind, and she’s a problem-solver. ‘Nuff said – SHE ROCKS! The supporting cast of characters are also distinctly quirky and uniquely interesting . . . In short, this book had us laughing out loud as we were reading it. My bottom line: I really feel that this little book is a gem. It is a relatively short book (70-ish pages) that can easily be read aloud to children in one sitting. My kids and I were completely captivated by this fun, adventure-filled tale about a very charming and unorthodox princess. I highly recommend this book to families with children under the age of 10 and as young as 5 who love a good tale filled with fairy-tale characters such as dragons, witches, princesses, and knights. Diane Mae Robinson delivers a very interesting and spell-binding book in "Sir Princess Petra." This is a book of courage for every young boy or girl to not give up on their dreams and press on unhindered. 5 bookworms / 5 bookworms Erik, This Kid Reviews Books AWESOME BOOK! I like this book because it has a great story line and a great message about believing in yourself. This book is an awesome beginning chapter book and a great read aloud. 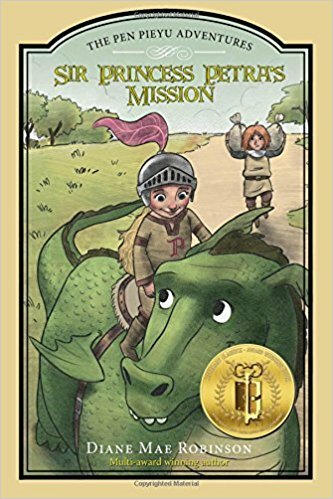 Sir Princess Petra by Diane Mae Robinson is a charming story that teaches children that friendship and acceptance are often times your best weapon. . . This is a tale full of adventure and humor with a charismatic main character who has a lot of heart. "Sir Princess Petra" is a delightful story. Ms. Robinson has created a fun and entertaining story that also teaches children the importance of kindness, courage, remaining true to yourself, and following your dreams no matter the obstacles that get in your way. 4 / 4 The University of Manitoba Book Reviews I highly recommend Sir Princess Petra for school, public, and personal library collections. 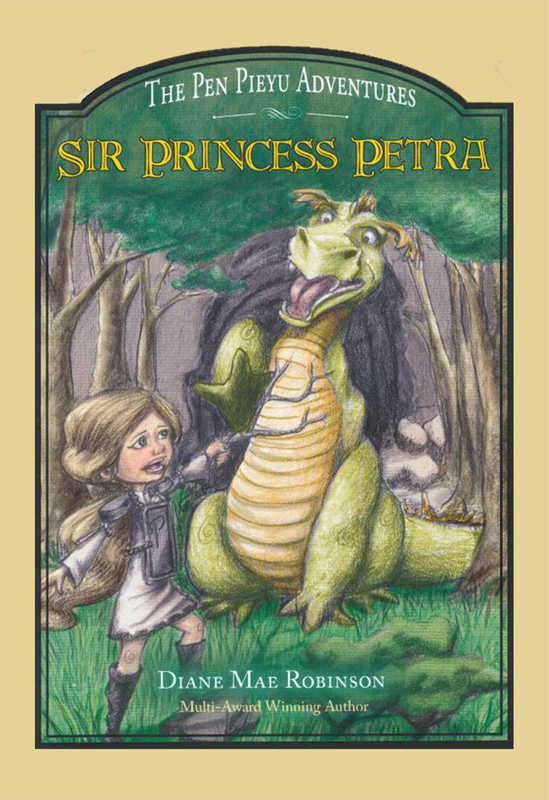 Sir Princess Petra is an empowering story, a delightfully imaginative read and re-read, a tale that invites the reader on a fearless journey towards friendship and self-discovery. What a wonderful story. You don't get many books that can teach qualities such as respect, friendship and trust. This book does that simply by showing through a lovely story. The author has a great gift at story telling, without telling you how or what you should do to learn the skills that the story teaches. The main character of the book, Petra, shows you what to do when she is placed in certain situations which require her to use her head and not her makeshift sword. We can all learn something from this story. If you have children, I encourage you to get a copy of this book and read it to them. I hope there are many more Petra adventures in the future. This book is next to my copy of Aesop's Fables. Compassion is the cornerstone of what it means to be brave. These are three beautiful books written by award-winning author Diane M. Robinson and illustrated by Samantha Kickingbird. Petra, on her birthday, asked to be a knight and as her required act of bravery, she chose to 'hush that howling, nasty dragon, snarls, in the Forest of Doom'. And so the adventure begins. The books are page turners and the adventures stretch the imagination and the lessons are just around the next corner, or bog, or castle. Beautifully told with the language of a child and the wisdom of young adults, the author surprises with her wit and wonderful imagination. Adventures are plenty, excitements many, and the paths and journeys are so full of joy that one is hard-pressed to read and not allow a lazy smile to settle and remain on his or her lips. 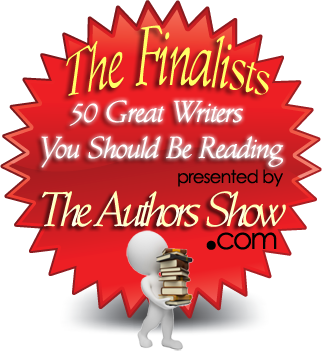 It's easy to see why this series had been awarded so many prizes and much praise. Highly recommend it. 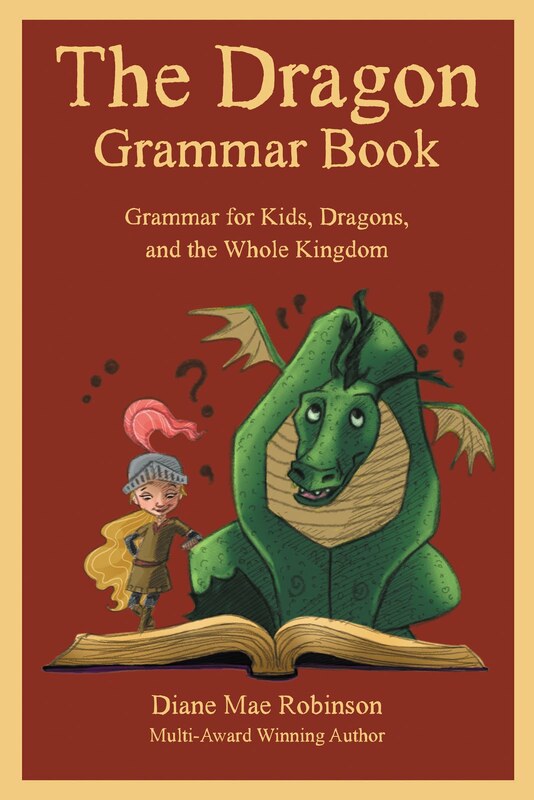 I bought this book for my niece who loves dragons also she is a tomboy so this story is ideal for her birthday present. the black and white drawings were compliments well with the story. 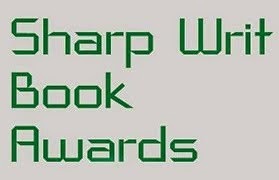 5 / 5 Mrsb2011, Amazon UK Reviewer, A tale about believing in yourself. This is quite a short story with chapters, and is perfect for independent readers. This will appeal to a range of children young to older. This is a story about Princess Petra and it is her birthday, her father, the King has told her she can have anything she likes. Princess Petra tells the King she wants to become a Royal Knight. After some resistance (as girls aren't Knights!) the King tells the Princess that in order to become a Knight she has to choose a challenge to complete. The Princess decided that she will hush the howling dragon as she doesn't fancy any other the other challenges and takes a bag of onions with her. This is a story of journey and forming unlikely friendships with others. The Princess sees the dragon and witch as genuine people and not as others look upon them. She helps them and forms friendships with them. This also is a story of achievement and belief in yourself. Just because Petra is a girl this does not stop her from doing what is seen as a boy's job. This is a powerful message to children and encourages them to follow what they believe in. The illustrations are nice, however I feel it would have been nice for these to be in colour for children who's imagination is not as vivid as others. Where other knights have failed, Petra succeeds. She shows the reader that we don't have to fight someone in order to win. Sometimes just treating someone with respect by listening to what they have to say and then coming up with an agreeable solution is enough. Given the fact that Petra comes across some interestingly strange new friends, she shows the reader how to respect and appreciate an individuals uniqueness. Together, they start a new wave of acceptance in her father's kingdom. Ms. Robinson has created an interesting and delightful tale about acceptance and understanding. Her characters are fun and children will enjoy the spunkyness of Petra. She shows common sense and reason, unlike her father who would rather use brute strength and malice to solve problems. Children will see how problems can be solved in different ways. Children 7 and up will love this unique 68 page chapter book. Children will be anxiously awaiting the other books in The Pen Pieyu Adventure series, wondering what Petra will be up to next. Sometimes a kids book comes along that turns convention on its ear. This is one such book. Meet Petra, who is not an ordinary princess. You see Petra has ambition. I enjoyed this fun story that had a deeper message. Petra believed in herself, with courage she faced adversity and dangers, and she achieved her goals. The book also has messages of kindness and understanding winning out over brute force and fighting. The writing was at a good pace. The illustrations were well done and aided in the telling of the story. Although it is a fairy tale, there is substance to the story. At its heart is an unconventional heroine who constantly has to face up to the rules that everyone else accepts blindly. Petra does things her way and with panache. This is a bright and breezy book, buoyed up by its humor and general pleasantness. Your children will love this book. Petra is a princess – but not just an ordinary princess. Petra has ambitions. Bored with her usual gifts of frocks and jewels, when her birthday comes around and she can choose what she wants, Petra decides she want to be a Royal Knight. How Petra completes this deed and the events that follow will have the reader laughing and cringing in turn. 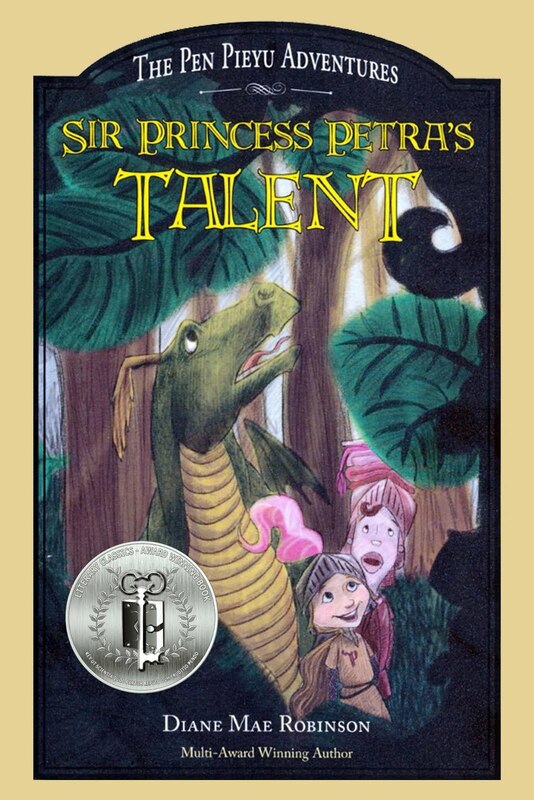 Sir Princess Petra is an enchanting, fun story that I’m sure children will love. But it is a fun story with a deep message. It is a story of belief in yourself, courage to face adversity to achieve what you want to be, and how kindness and understanding are better than brute force and fighting. The writing is lively and well executed and the illustrations are skillfully drawn and add to the story’s appeal. I will certainly be buying this book for my granddaughter. She will love it. "Princess Petra" is a delightful and well-written children’s story of a Princess who goes off on a quest and encounters and overcomes obstacles on her way to knighthood. Sir Princess Petra is one headstrong girl. The King and Queen have their hands full! I knew this was going to be a fun little book when I saw the map. It made me smile, giggle and study the land so that I would understand the adventure. Each of the chapters has fun story lines and flows smoothly. The illustrations are fantastic, true to the story and drawing the imagination towards the words on the page. I feel as if I knew this little girl had the capability and the will to reach her goal. This is a great book for elementary schools and public libraries. I would highly recommend this for gifts, regardless of the time of year. I am glad that I have read the story and become acquainted with the character Sir Princess Petra! You shouldn’t judge a book by its cover, but it doesn’t hurt that Sir Princess Petra has a great one. A delightful story, it chronicles the adventures of a young princess become knight in shining armour. 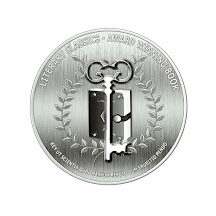 It’s everything you would want in a book: cute, funny, and with great messages. The adorable illustrations will serve as your companions as you eagerly flip the pages. This book is highly recommended by Boyu Huang. This is quite a short story with chapters, and is perfect for young independent readers. This will appeal to a range of children young to older. This is a story of achievement and belief in yourself. Just because Petra is a girl this does not stop her from doing what is seen as a boy’s job. This is a powerful message to children and encourages them to follow what they believe in.There are many words in the story that stimulate discussion for younger readers, which helps them to develop their vocabulary. 5 / 5 Mint tea She's not your average princess! This is the cute story of a princess that is having a birthday. When asked what she wants, she declares that she wants to become a knight. Her father, the king, tells her that she must go through one of the same acts of bravery as the rest of his prospective knights, so she takes her pick of silencing a nearby dragon. Not only does she succeed in becoming a knight and get fitted for her custom made tiny armor, but she also solves a few other problems in her village, and even encounters additional monsters. This book is good to read with children because it has cute illustrations and many good messages, which include girls can be strong, not to judge a book by its cover, teamwork is helpful, and to be honest. Onions also play a large role in this story, which was a bit comical and random. I can use all the words one does to describe a children’s book, like charming, delightful, heart-warming and not even scratch the surface. 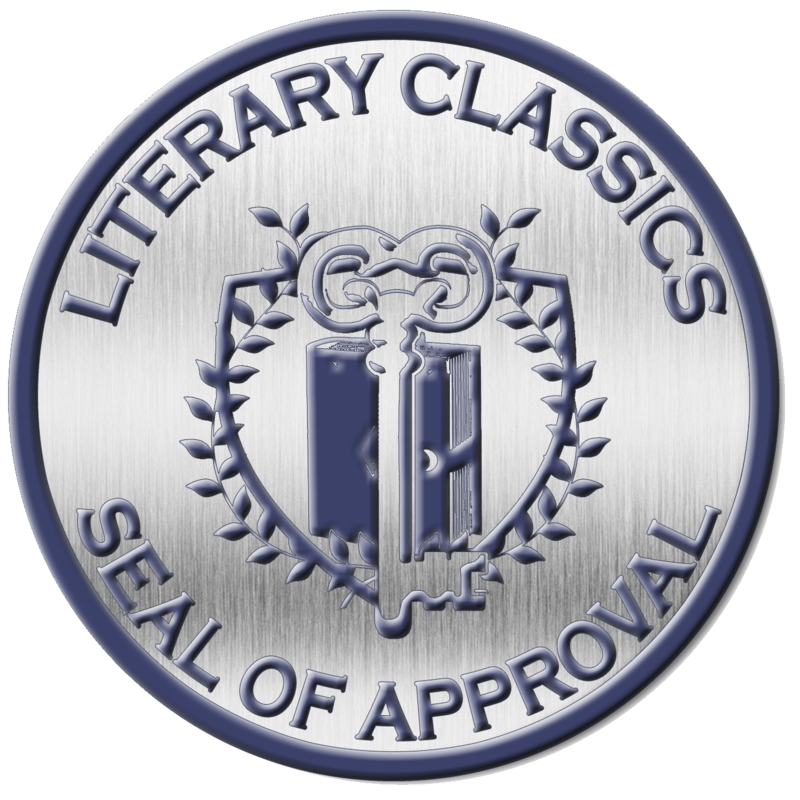 It is obvious that as the series progresses the author has become more comfortable with the story and the simply wonderful characters have begun to take on a life of their own. Still, Sir Princess Petra is a wonderfully solid beginning for the series. This is a terrific idea for a story and a great beginning for a series that I really enjoyed. This is a great children's book. I read it to my son and he loved the book and wanted me to read it again. I really like how it's not just a funny little story for kids to read, it actually has meaning behind it. It teaches kids to believe in their self and the importance of friendship and trust all in a little story that they don't even know they are learning from. I really liked this book and I know that other parents will too! I'm a kid at heart and the reason I enjoyed this book so much is because I read it through the eyes of a child. It's short and sweet and will take a child away for a mental vacation from life's everyday chores and school. Nice characters and lots of action to keep one entertained and well written. Definitely would recommend! This warm and enchanting tale of a child’s innocence and determination is worthy of a story to be told by parents and grandparents to their children, and it is a book that I highly recommend. This is a tale spun by Robinson full of quirky characters and surprising plots that will delight both adults and children alike, and keep listeners being told the story in rapt attention. I loved this story because the girl was breaking stereotypes, overcoming her fears and not judging a book by it's cover :), in a fun way that kids will get. 4 / 5 Nikki Bennett The Pen Pieyu Adventures is great fun! I do enjoy these whimsical books. The drawings are great, the characters are funny, endearing and well defined, and the adventures are fun for kids (and adults like me.) If you haven't tried reading these books yet, you should! 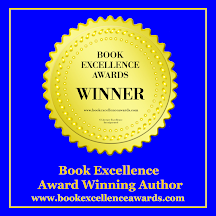 5 / 5 Barbara Ann Majica Bamauthor.me A PRINCESS WITH PIZAZZ! Petra What a delightful book . . . The whimsy of the story, the can do attitude of Princess Petra, regardless of the challenge . . .What a great read for a child. This is such a cute book!!! I absolutely fell in love with Sir Princess Petra as a character. She is funny, brave, and definitely went against the general consensus of who a princess is and how she should act!! . . . the world that Ms. Robinson creates is fascinating! Follow Petra's daring journey with it's comical twists and turns How I do love fantasy. And children's books. Fortunately for me, this Edmonton, Alberta writer cooks up both here. The recipe for her book not only includes those two favored genres, but also lots of onions, some mushrooms, and a good dose of humor that makes this an even more appealing story that it already is. I also loved the illustrations of the knight armor Petra was fitted with. She is like a comical Joan of Arc of the young reader's world. This book is part of a series and I am eager to read and bring you a review of the sequel in the days to come. Princess Petra is not the usual pretty princess; she is a far cry from Snow White and Cinderella! In fact, she is in desperate need of a challenge. This story follows the quest and shows Petra’s cleverness and quick-thinking are more important qualities than brute strength. Being small does not have to stop you being brave – something we learned from Bilbo Baggins in his own battle with a dragon. I imagine this little tomboy will rapidly endear herself to any reader between the ages of four and eight. Children will also love the original illustrations from Samantha Kickingbird. This sweet tale will, no doubt, be merely the first in a collection of stories about this quirky princess. 4 / 5 Leyla Atke, children’s book author Wonderful children's book! Sir Princess Petra is a wonderful children’s book . . . A strange desire of Princess Petra turns into an exciting and funny adventure, which will make happy any child. 'Sir Princess Petra' by Diane Robinson is an interesting tale about a courageous and bold Princess Petra of Kingdom on Pen Pieyu who demands to become a knight . . .The book has a very captivating storyline with a humorous touch . . . with wonderful moral of courage, adventure, determination and friendship. I would highly recommend this little book for all kids from age 3 to 10. 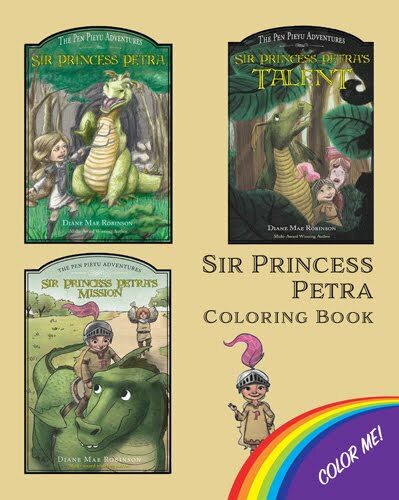 I am sure Princess Petra will make a perfect inspirational friend to all little readers! Its a must read!! Princess Petra is tired of doing ‘princessy’ things, such as caring about lace dresses and jewelry and playing ‘princessy’ games. She wants to become a knight! The story follows Petra’s adventures as she does this by using brains instead of brawn. Indeed, it seems that brains are singularly lacking in the magical realm! Petra is a feisty tomboy heroine of what promises to be a series of books about her adventures. She is endearing and will gain mainly followers between the ages of four and eight. I love the illustrations by Samantha Kickingbird. They add a great deal of charm to the tale and make the story come alive. 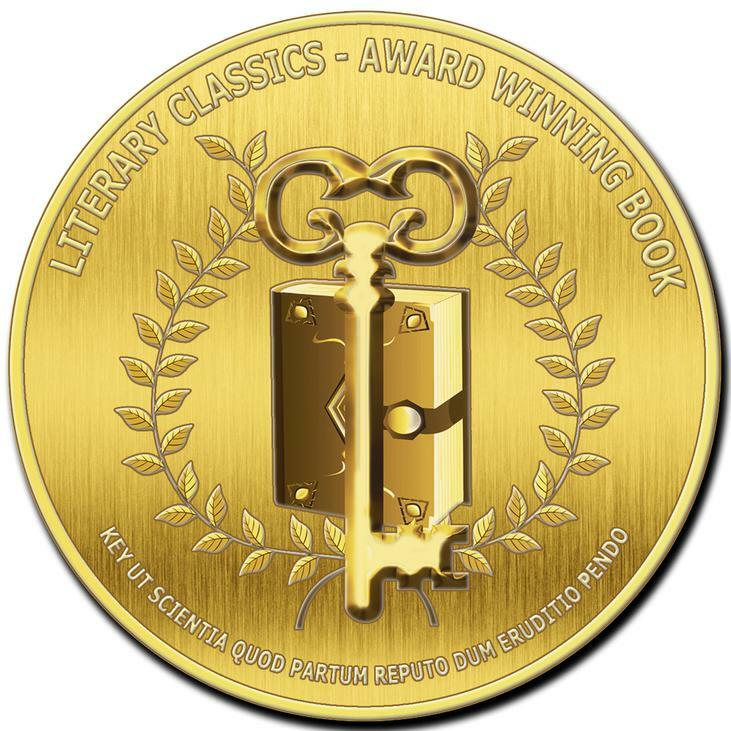 5 / 5 Terry Nedham, Award-winning Author A Tale to Amuse, Intrigue, and Inspire . . . Compelling, charming, amusing and delightful tale of a brave young girl. Petra knows what she wants and uses kindness, grace, courage, and invention to lead her little band to glory. This treasured tale of discovery and determination, with charming illustrations, is ideal for any child. It will amuse, intrigue, and inspire. Plus, it will leave you wanting more . . . Sir Princess Petra adventures! 4 / 5 Lady Erynn A perfect read for your own little one! This was a really well-done story! The language was clear, the settings were well-defined, and there was humor mixed throughout the entire book. Petra doesn’t adhere to the social norms of her kingdom and becomes the first Royal Knight of the kingdom, and this teaches the reader that if you follow your dreams, anything is possible. Although this may seem to be a children's book first, it is one of the few children's books that does not treat the reader like a young dolt. You won't find anything 'childish' here so that even adults like me can enjoy the story. In fact the book has a feminist overtone, with I like. Petra is not just any other princess; she is a symbol of the voice of protest against the existing patriarchy (and as if to prove her point she actually chooses the most dangerous of all tasks): “Where is it written that a girl cannot be a knight and protect her kingdom?” This story teaches you that girls too can do just about anything that only boys are expected to do! I was so impressed with the story. When it comes to fantasy novels directed at children, I am particularly impressed by authors who can achieve a memorable story that is palatable for young people, yet still shows an underlying skill of writing and awareness of deeper meanings. The possibility of using literature for such an admirable purpose is what writers should get into the business for, and Robinson has certainly done that. I think Sir Princess Petra is a wonderful new heroine for a new generation, a female who breaks down gender roles and demonstrates self-confidence and pride in her passions. I enjoy good writing and interesting characters as much as the next person, particularly when I find a book that would be suitable for the young people in my family and social circles. I'll definitely be recommending this series to friends with children who would benefit from such a positive, fun, and unforgettable series. On her adventures, she learns that you don't have to be mean and nasty to be a brave knight. She also turns potential enemies into friend. She is a special princess, for sure. I definitely recommend Sir Princess Petra and the other Pen Pieyu Adventures for children of all ages. Ms. Robinson has spun a tale full of quirky characters and surprising twists of plot that will delight both adults and children alike." Marcia Lee Laycock, author of One Smooth Stone, A Tumbled Stone, and Spur of the Moment. "Her writing grabs you, is perfectly pitched, nuanced, a fresh approach." The adjudicators for The Lieutenant Governor of Alberta Emerging Arts Award (Literary Arts).